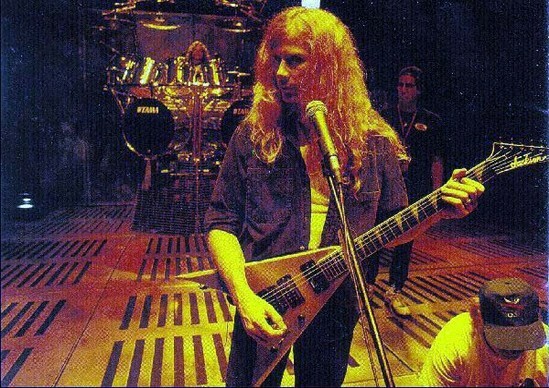 DM002-92 is a copy of Dave's "number one" and it was used almost exlusively during the Countdown to Extinction era and also on the Youthanasia tour. 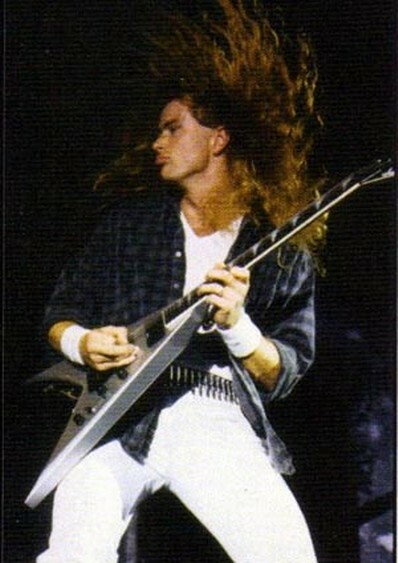 In addition it appeared on a punch of Megadeth music videos. 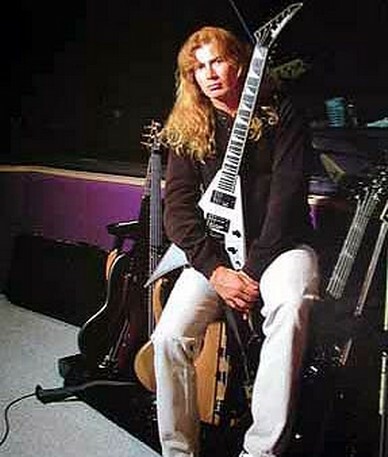 To me personally this is THE Megadeth guitar - perfect reflection of their music! 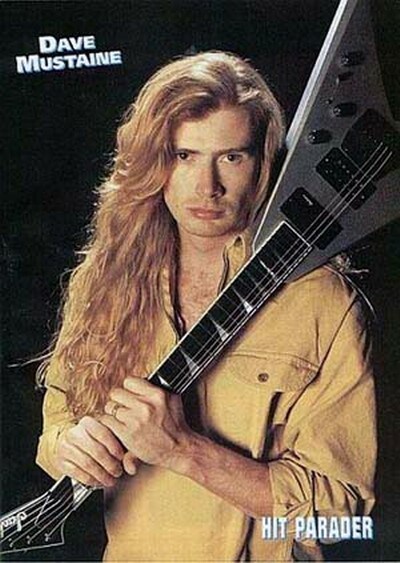 It's very similar to DM010. The only real difference is a more common control layout. 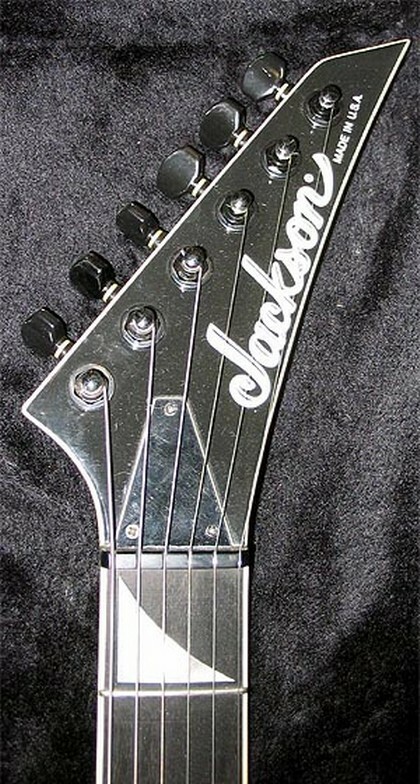 This one also had a Jackson neck pickup equipped with a small Jackson logo. 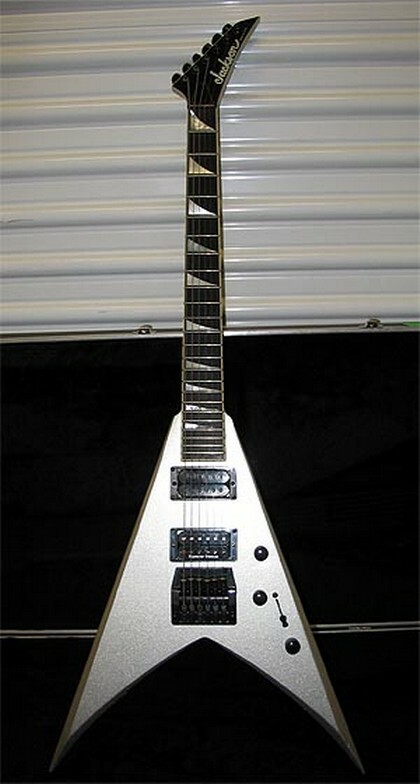 I've seen two different pickups on it - other one has a cover and the other one doesn't. While DM010 was not seen often in public this one is all over the place. 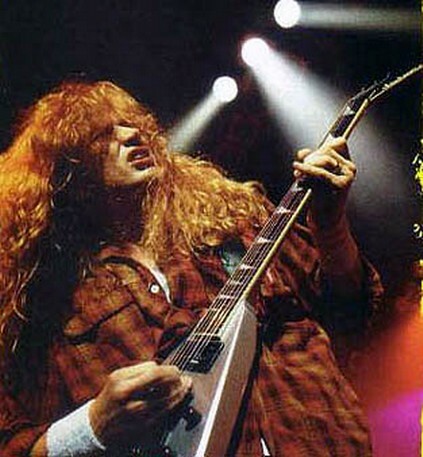 It's on the music videos "Angry Again", "Symphony Of Destruction", "Foreclosure Of A Dream" and "High Speed Dirt". It also appears on all live bootleg videos I have seen from the CTE tour. For great action pics click HERE. DM002 is still with Dave and like DM010 it has been offered for sale twice.